I Signed Up for Membership - Why Can't I Post or Read Some of the Forums? You need to wait for the administrator validation of your membership. Often it occurs within a few hours. However, if can take up to a few days. Please be patient. Make sure you validate your own membership. The second stage only happens after you have validated your own membership. I Validated My Membership - Why Don't I have Full Membership Yet? The next step is to wait for the administrator to manually review and validate your membership. Until the second step is complete you will not be able to post or read some of the forum. Make sure you have looked in your spam box for the validation email. If you sign up, but do not validate your own account, reminders will be sent out every few days for 7 days. After that unvalidated accounts will be automatically deleted by the system. You will then have to reapply for membership. The reason why this validation process is there is to keep the forum free of spammers. The reason you needed to read the Registration Terms was so you could fill the Registration Form out correctly. The answer to the question in the form was in there. There is no "secret answer". The answer is given to you in large and clear letters. Please do not type other things eg "open sesame", "cool bananas". At the bottom of the registration form you will find this security feature. All you have to do is enter the two words EXACTLY as they appear to you. In this example the two words are "studo Book". Type in the box shown by the arrow. This is not a secret question. Do not think it is a secret code, that you needed to read some special instruction to understand. Do not think there is a trick. Do not enter "yes". Do not enter "no". Do not enter "yeah baby". However, in your case it will be different every time. So just type the two words that you see, EXACTLY as they appear to you. If you still cannot get it right, you should find a child or teenager to help you. Tell them that no special programming skills are required. Most ten years old will get it right the first time. If the ten year old can't do it find a twelve year old - or a smarter eight year old. 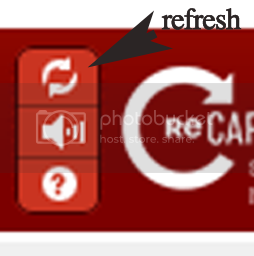 A pal of mine contacted me, that he couldn't register to the forum, because the recaptcha v1 has been shutdown. Is there any plans to upgrade the verification process? we don't know what the intentions of Sator happen to be. Many people apparantly wish to join and cannot, but as far as I know, no-one has had any contact with Sator for a couple of years. This is why the other site, http://movsd.com/Bes...utter/index.php was started. It is certainly not intended as a rival to this one, but a chance for continued interaction.